I tried on a bunch of jackets at Cycle Gear and found this to be in the middle as far as weight and comfort, I liked all the padding, and its a mesh jacket so I feel it would be pretty cool (I am in Florida) it comes with a thermal and rain insert that can both go in the jacket or one at a time in the jacket. for $129 I was happy! I weigh 180lbs 5'8 pretty good shape and Medium fits great! 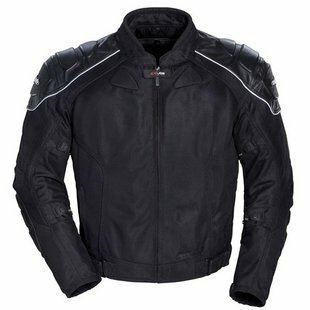 HELP with GEAR..jacket mesh bad>?